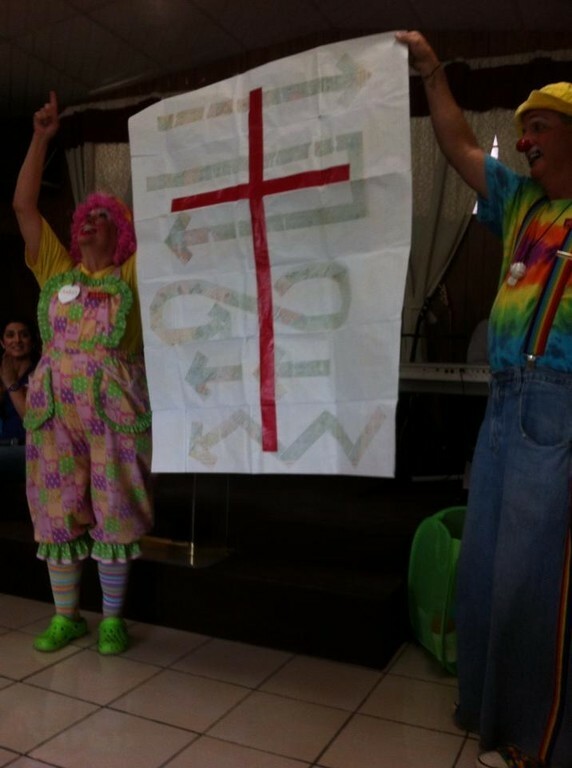 Presenting the Gospel with fun! 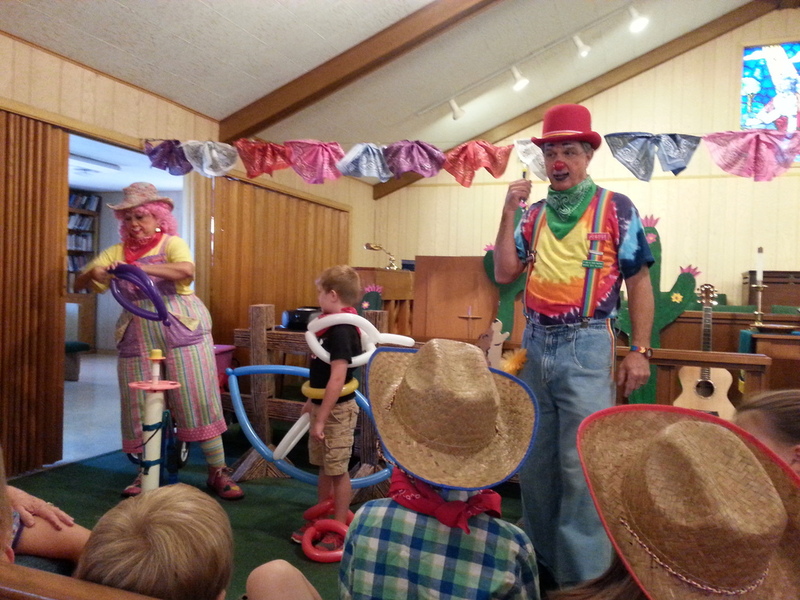 Charity the Clown loves to entertain at all sorts of fun events like birthday parties, reunions, company events, business functions, churches or wherever people want to have a good time. Beginning in Bryan, College Station, Hearne, Caldwell, Madisonville, Navasota, Calvert, Franklin, and extending out into the Brazos Valley. 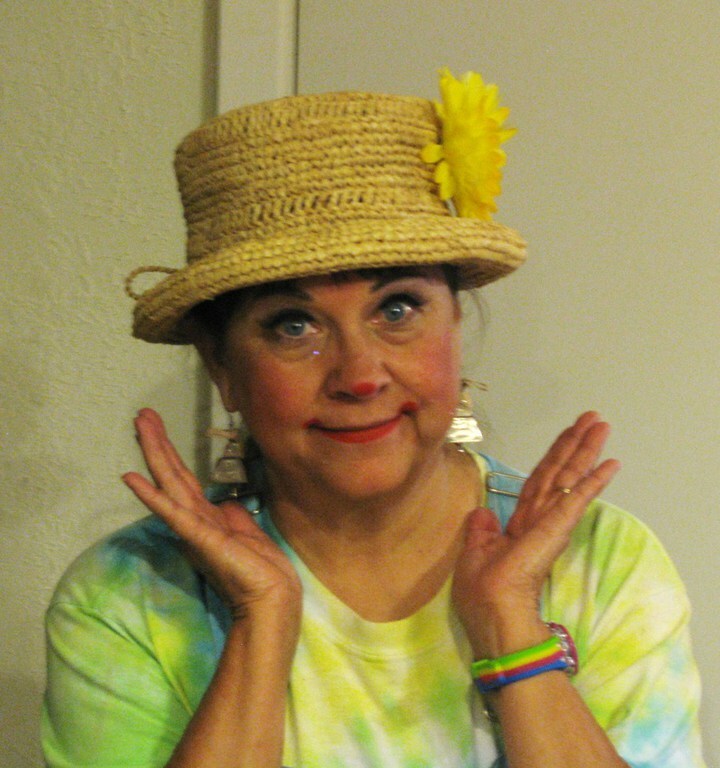 She does face painting, balloon twisting, performs simple magic, sings fun songs, talks with puppet friends, delivers messages, and has a box of fun "stuff." 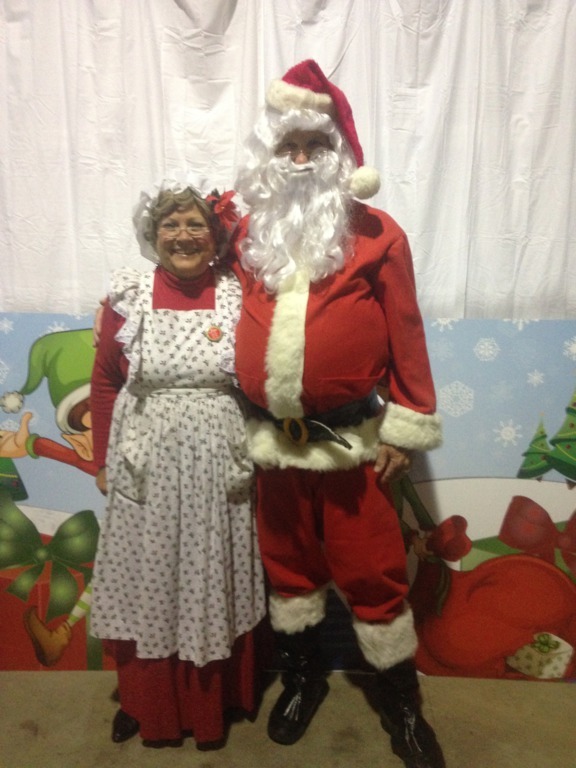 She also can appear as "not a clown" and in other costumes like Fairy Godmother, pirate, blue rabbit, elf, and Mrs. Claus. Thunderfoot has joined her full time, so there is twice the fun, and boy, can he sing! They can deliver balloons and personal greetings to someone special - a novelty telegram. We especially have a desire to minister the love of God at churches. Please call us to see how we can help you. ﻿ contact me. Thank you so much for your entertainment at my kids bday party! 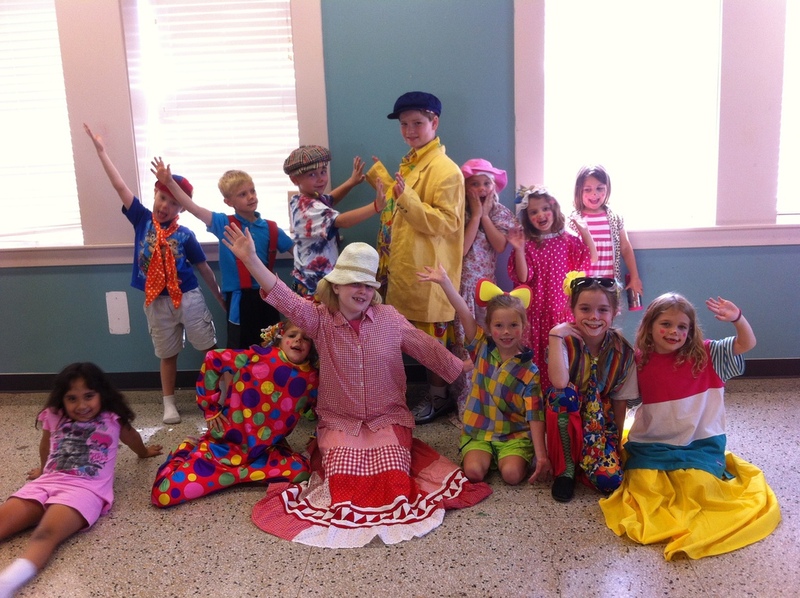 You were such a huge hit and so nice to work with! 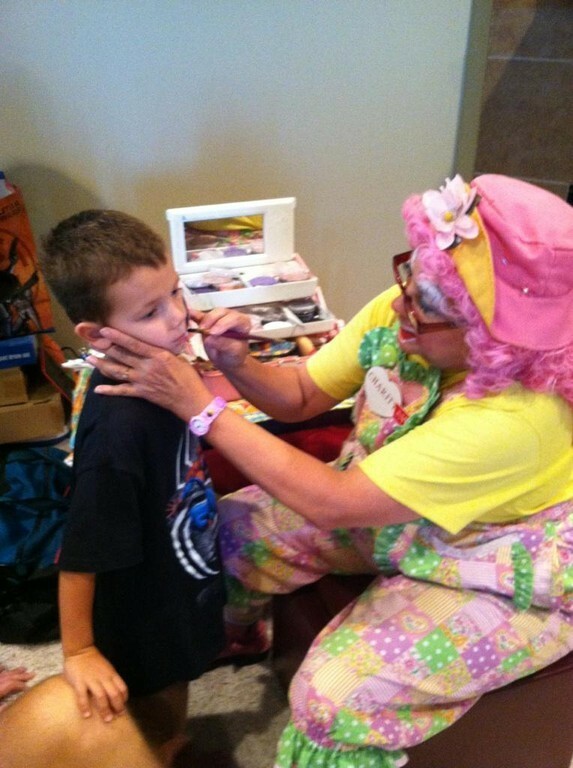 Pamela A. Praesel A BIG thank you to Charity the Clown for her amazing face-painting and balloon skills at the Caldwell First Assembly Fall Festival! She had a line of kids, and adults, from the moment she arrived until she left. Our event ended at 2pm but she still had a small line of kids.... she stayed until every child got what they wanted. Wow. She's the best! And she was so kind and sweet with the kids. Bless you, Charity! You truly do live up to your name! A Valentine surprise for the kids!!! 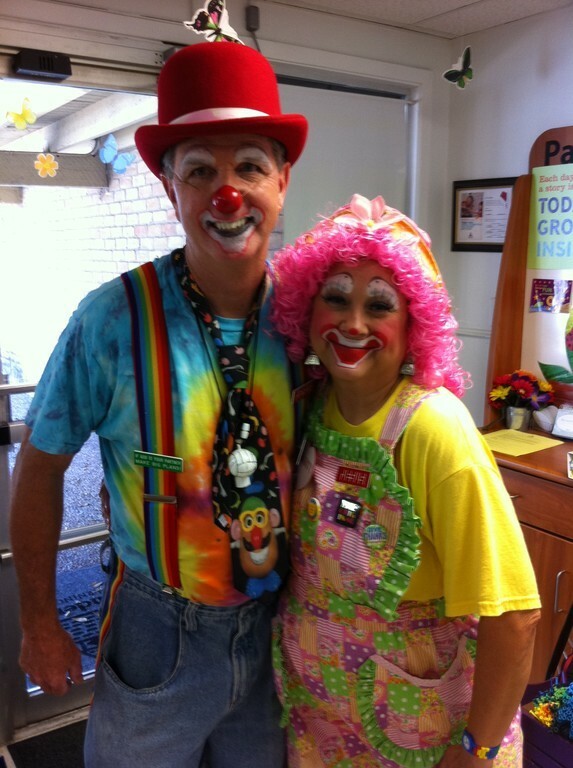 I take clowning seriously. Check out Career to see my training. Photos shows some activities of ours. Events will show when we are busy or available. News will tell you what is going on with us.